Unwind from the week with British programming on WLIW21. Friday April 19, 8 – 9:30 p.m. Created by Oscar-winning writer Julian Fellowes (Gosford Park), Downton Abbey depicts the lives of the noble Crawley family and the staff who serve them, set at their Edwardian country house in 1912. Featuring an all-star cast, including Hugh Bonneville, Dame Maggie Smith (Harry Potter) and Elizabeth McGovern. When the Titanic goes down, Lord Grantham loses his immediate heirs and his daughter Mary loses her fiance, throwing Downton Abbey and its servants into turmoil. The new heir turns out to be Matthew, a lowly lawyer with novel ideas about country life. Visiting Highclere Castle, the estate where Downton Abbey was filmed, was a highlight of this summer’s WLIW Born to the Manor trip to England. See our To the Manor Born Tour adventures, here. 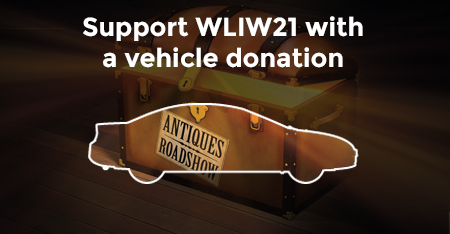 What all six seasons of Downton Abbey – Masterpiece on demand with the member benefit WLIW21 Passport. Puns, plays and posh Tudors abound in Ben Elton’s critically acclaimed comedy about William Shakespeare, sitcom follows the Bard’s fictional early life. With a family in Stratford and his theatre company in London, the Bard is burning the candle at both ends. His teenage daughter Sue is as stroppy as ever, best mate Kit Marlowe is in danger, and neighbor Kate is desperate to be an actress – despite the fact it’s still illegal for women to do anything interesting. Meanwhile, Will has been working on his masterpiece, Hamlet. Pity everyone think it’s a comedy. Love potions are sweeping through Stratford and there’s something a little off about Love’s Labour’s Licked. See our British programs on Monday night, Tuesday night, and Saturday night, too. Do you miss Friday nights with Ian McKellen and Derek Jacobi in Vicious? Or the team from The Great British Baking Show? 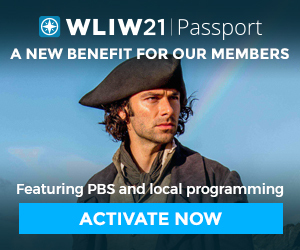 WLIW21 members can stream all seasons of either show with the member benefit WLIW21 Passport.